Be it summer or winter, you deserve to look fabulous. Dressing up definitely brings out the best in you as it not only makes you look stylish and confident but also makes a great impression. When it comes to fashion and style, you do not require to have a closet full of expensive clothes. All you need is the right design, color, and pattern that suits you the best. After all, who wouldn't love to be the cynosure of all eyes? And BIBA being the Indian fashion giant gives a truly unique, wow-inspiring ethnic experience. They provide contemporary Indian fashion wear at great prices. Be it gorgeous salwar suits, churidars, kurtas, kurtis, lehengas, salwar kameez, skirts, and dupattas - they have it all. Here are some amazing dresses for women you would not want to miss! A red dress is a timeless classic which makes you look chic. 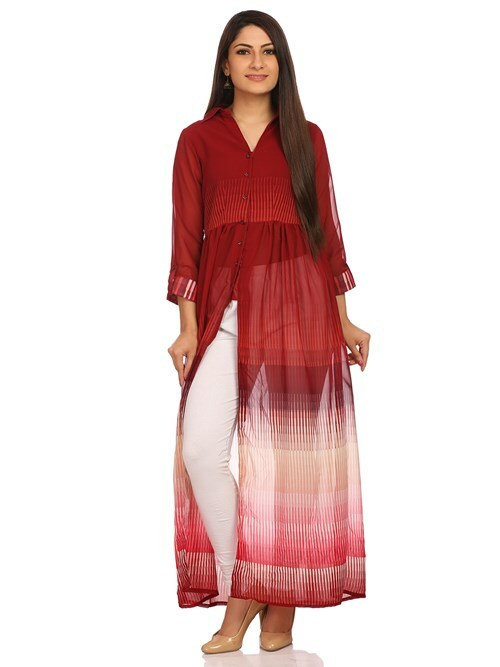 This red colored cotton-made printed dress with shirt collar and long center slit will enhance your beautiful personality. Ivory colored dress is a classy addition to your wardrobe. 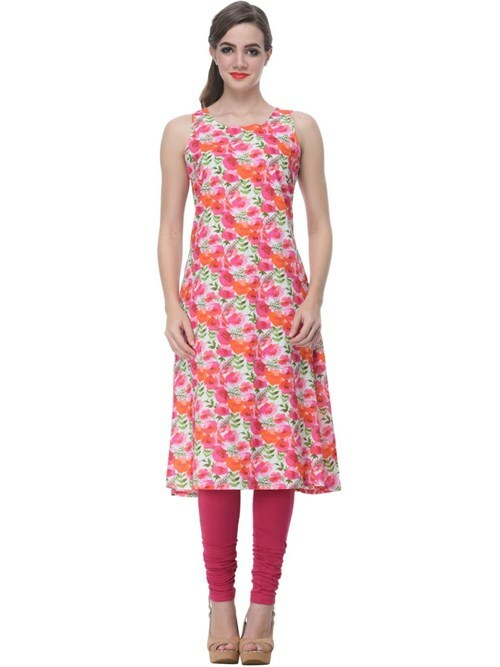 This dress features contrast prints, slant pockets on sides, taping on the neckline, cuffs, and placket which makes it exclusive. 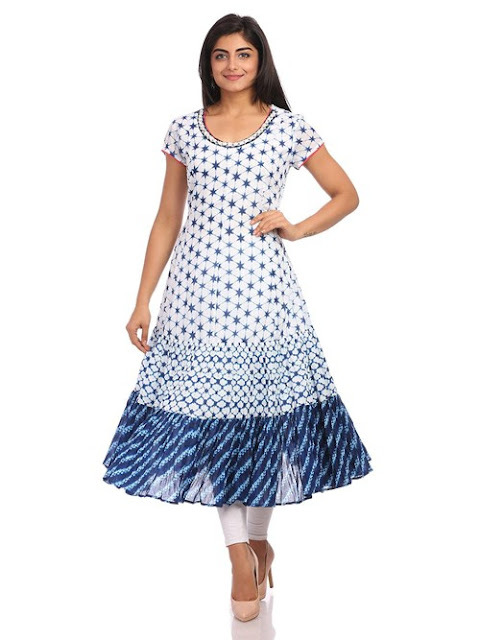 Your wardrobe will be incomplete without having a white cotton dress. And when it comes with tie and dye prints, it has got to be unusual. 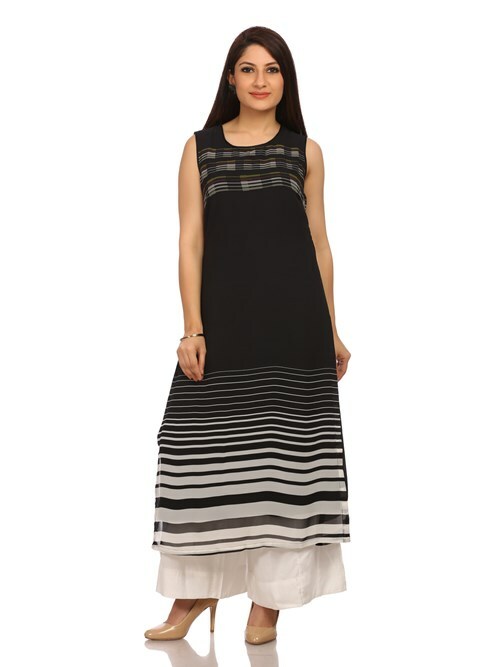 Pair this dress with white churidar and create your own ethnic style statement. It is a "rule of fashion" that every woman should own a simple, elegant black dress that can be dressed up or down depending on the occasion. This sleeveless polyester made kurta when paired with white bottoms and matching accessories will make you look incredible. Floral patterns are loved by women. 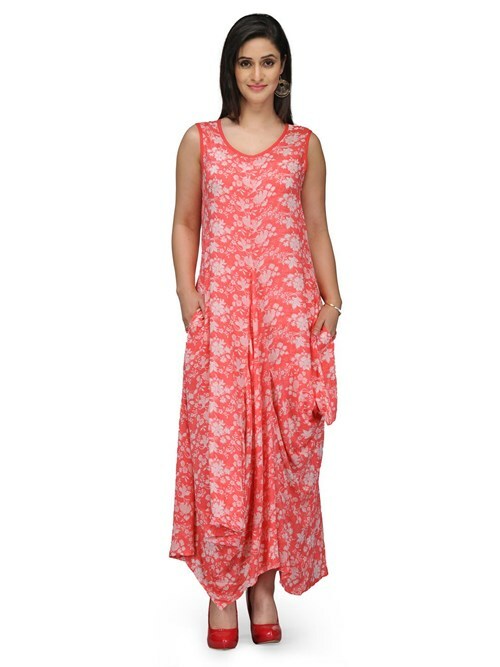 With a coral red base, this sleeveless dress with round neck enhances your fashion appeal further. As they say "Pink isn't just a color, it's an attitude," this color makes everything look pretty. And when it comes to a cotton dress, it surely look great on anyone. Not just the above-mentioned colors and styles, but you can also choose lots of varieties from BIBA and pair it up with your favorite neckpiece, metallic earrings, trendy shoes, and a matching clutch bag. You can never go wrong when these beautiful dresses are paired with right accessories. 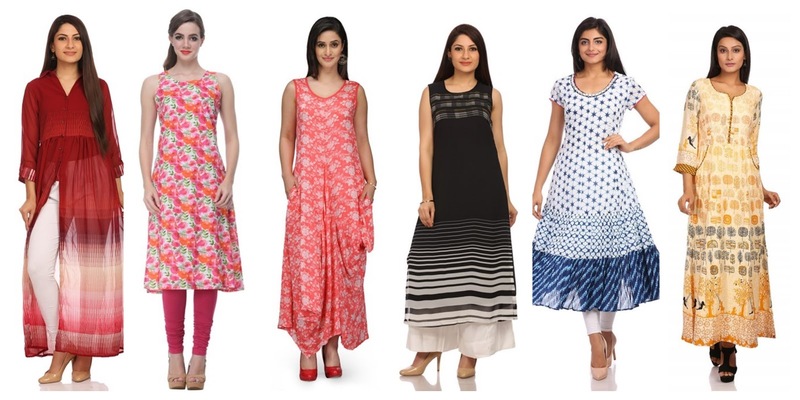 With so many wonderful picks which are now easily available, you can pick any style from these designer dresses and shimmer with subtle, feminine charm. Go ahead and dress to kill!